Qi Gong Slippers Black, Cotton Sole(GTTF550-36) Training footwear, tabi boots, kung fu slippers and other. 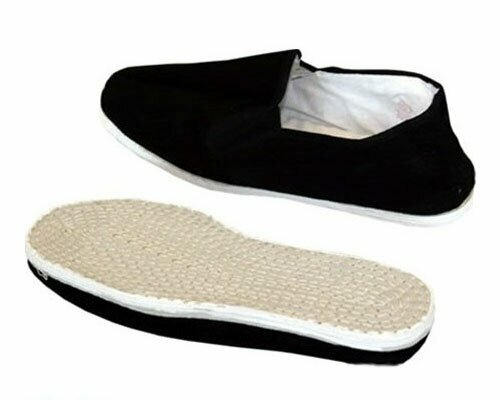 Traditional Qigong, Tai Chi, Kung Fu slippers made of black canvas, Soft outer white sole with multi rows of stitching. Also has white stitched inner lining. Suitable for indoor purposes/training.